The correa is a common flowering shrub found across Australia. The bell-shaped flowers are such a welcome delight when many other plants have finished flowering for the year. Honeyeaters come and visit to drink from those flowers, hanging upside-down and darting all around. 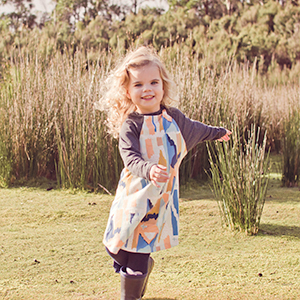 The A line shape of this easy knit fabric dress pattern is so much like those beautiful little flowers, and the batwing raglan sleeves create wing-like movement. 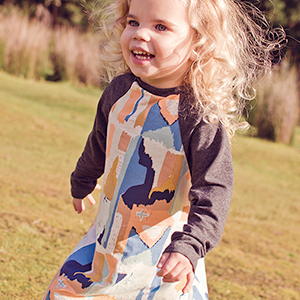 Designed to fly out from your sewing table and onto your favourite small person in no time at all the Correa Dress is a joy for you to make and for her to wear. 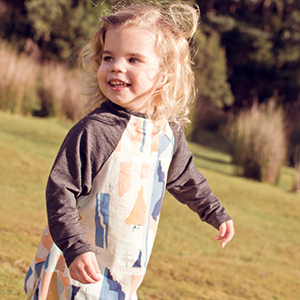 This pattern is available in sizes 1T to 14. 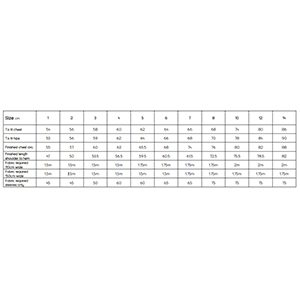 Suggested fabrics are cotton lycra, brushed poly spandex, cotton jersey, french terry, or lycra spandex.